Firefighters must train extensively to be both effective and remain safe. Firefighters try to prepared to respond in any situation, no matter how dangerous. Yet, one of the most damaging experiences for these men and women is one that very few actually prepare for: their mental health. These brave individuals are likely to experience trauma, so why is there not more training to prepare them, or more measures taken by their operations to address the harmful effects of their career on their mental health? In 2018, it was reported that firefighting was the second-most stressful job in the United States, only beat out by enlisted military personnel. 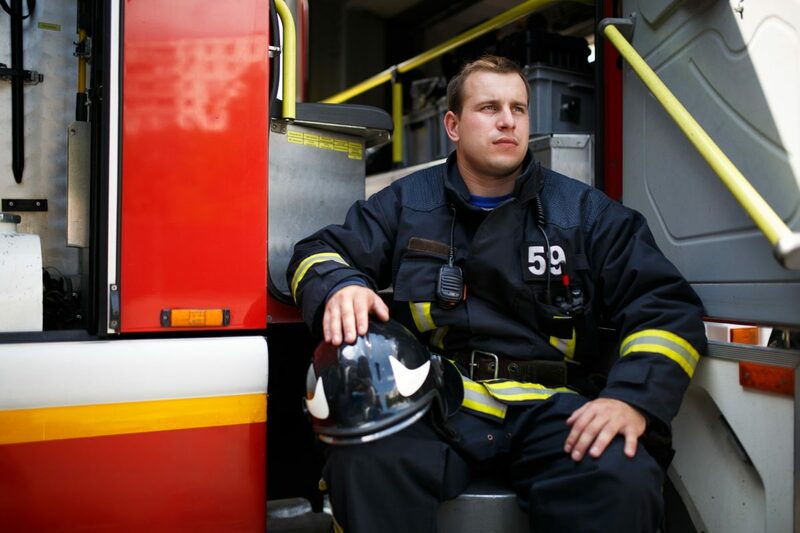 Below are some of the ways in which firefighting operations can take action to improve the mental well-being of their teams. Certain tasks will negatively affect firefighters. Even if subconsciously or in an acute manner, trauma from events sticks in their minds, that can resurface, affecting them later, sometimes years down the road. A partner at home is just as critical a partner on the rig; one must thoroughly communicate with each other. While you can spare the gruesome details, your loved one has to know why you may be behaving differently to know that you’re dealing with something that isn’t their fault. Communicate with your spouse, making them aware of trauma. They will most likely be the one to notice changes in your behavior that no one else, including yourself, may notice. You will likely not recognize these signs or be willing to admit you need help. A significant other can alert you on when to seek help. Trauma exposure can occur on any given shift, so it’s important to devise a plan about how the situation will be handled. Will you call your spouse immediately following the incident? Or will you share it with them next time you see each other? Should it be a sit-down discussion or is it enough just to mention in passing? Knowing how much to shared is important, as the danger of exposing partner to trauma, is essentially creating post-traumatic stress symptoms in an individual who did not experience the trauma first-hand. Avoid traumatizing loved ones by explaining traumatic events and exposure without truly exposing them to the graphic details. Be ready to handle traumatic calls and help those who experience them. Regardless of whether someone is a rookie or the fire chief, if a crew responds to a member is seriously affected by what they see, that situation must be addressed appropriately. Plan how to provide care after a major incident. What will your agency do after a mass casualty incident? How will it help members recover when they’re exposure they can’t forget? If someone starts exhibiting signs of PTSI, what resources are available to get them professional help? It’s everyone’s job to discuss events, good and bad; ensuring everyone learns from mistakes and that everyone is OK, both physically and mentally. At Provident, we offer a First Responder Assistance Program that was designed to address this issue in particular, offering confidential support, resources, and referrals 24/7 for firefighters, first responders, and their families. Mental wellness needs far more attention in the fire service. There are an average of 100 validated suicides by fire and EMS personnel each year, many as a result of trauma that was never properly addressed. First responders must do a better job of actively preparing for the trauma they’re likely to experience. Accident & Health Insurance, Firefighters First Responders Accident & Health Insurance, First Responder Assistance Program, Mental Health, Mental Health for Firefighters and First Responders, Provident Insurance Programs permalink.